Love to Abeja who traveled from Tokyo to Vegas to watch the show. We are glad you enjoyed. Stay on the good foot yourself! 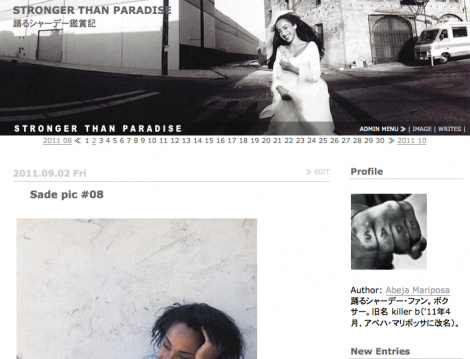 If you want to read Abeja’s Sade blog Stronger Than Paradise then check here.